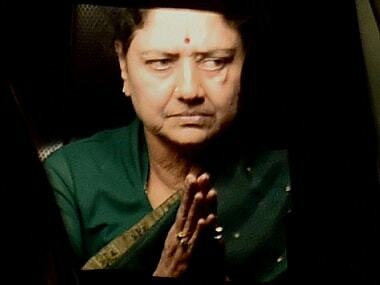 The panel probing the circumstances surrounding former Tamil Nadu chief minister J Jayalalithaa's death has permitted jailed AIADMK leader VK Sasikala to cross examine witnesses who deposed against her. 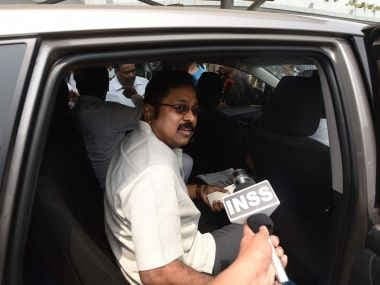 The ruling AIADMK alleged there was a 'tacit understanding' between TTV Dhinakaran and the Opposition DMK to defeat it in the RK Nagar bypoll, in which the sidelined party leader emerged victorious. 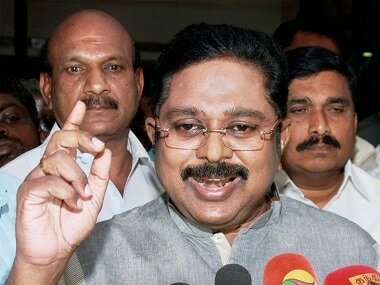 If there is one thing Dhinakaran's victory has confirmed, it is that the EPS-OPS government's expiry date is nearing. 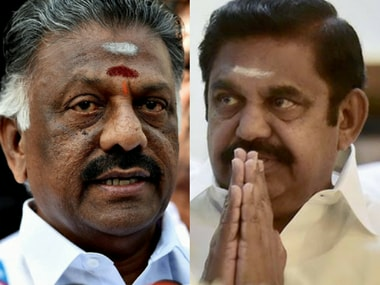 Since February, when EPS won the trust vote managed by keeping MLAs in captivity at the resort outside Chennai, the government has not faced an electoral test. RK Nagar was therefore seen as a mini-referendum on how the people of Tamil Nadu, more so in the state capital, perceived their government. 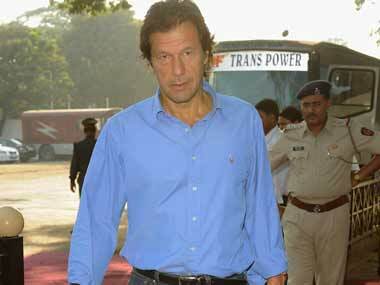 The result shows EPS and OPS have failed the test. 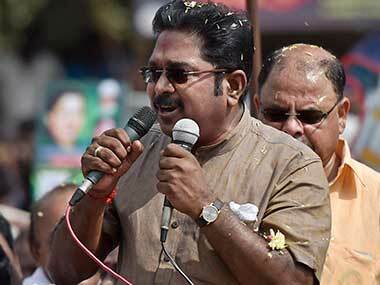 The by-election for former Tamil Nadu chief minister J Jayalalithaa’s Assembly seat saw not her party candidate, but her aide VK Sasikala's nephew and Independent candidate TTV Dhinakaran winning the contest. 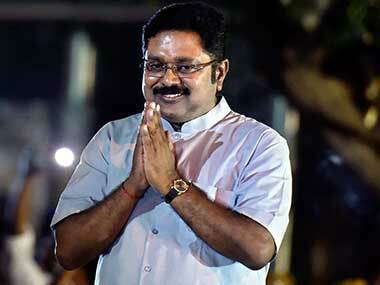 Dhinakaran won by 40,707 votes. While he polled 89,013 votes, the AIADMK candidate Madhusudhanan secured 48,306 votes. The DMK’s Maruthu Ganesh came third with 24,651 votes. 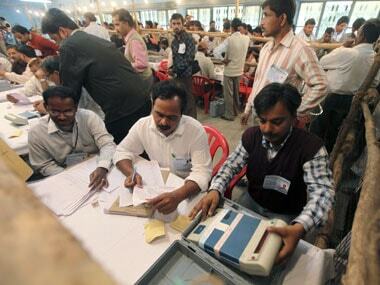 After a record voter turnout of 77.68 percent on Thursday, the counting of votes for the high-profile RK Nagar Assembly seat will take place on Sunday. 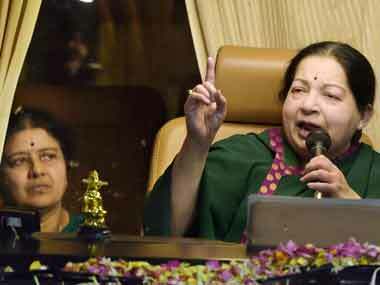 An inquiry commission probing J Jayalalithaa's death on Friday issued summons to her confidant VK Sasikala and top Apollo Hospital executives seeking information about the hospitalisation and treatment given to the late chief minister till her demise.